Food Shelf Life- We waste less food because everything has a place and is easy to see. We used to throw away tons of leftovers that would get lost in the back! Simplifies Meal Prep- We’ve found it much easier to cook and pack lunches when we don’t have to sift through a messy fridge. 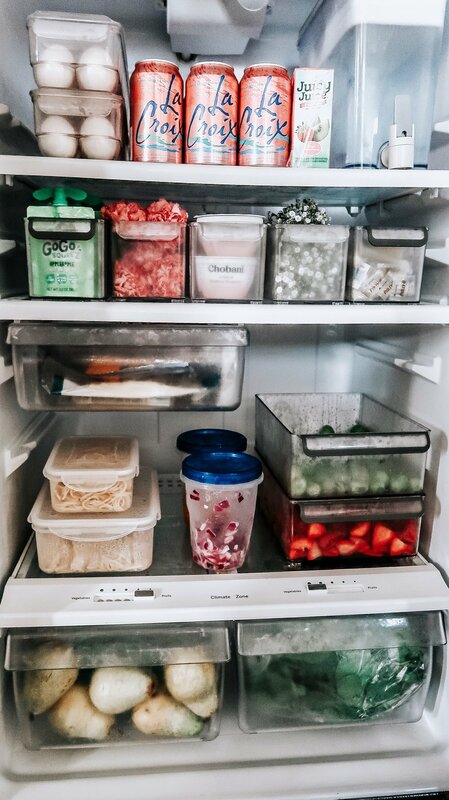 Easier Clean Up- A fridge that’s overflowing with food and containers is more difficult to clean. Now our five year old can wipe down the inside with ease. Saves Money- We no longer buy duplicates of items we already have and use up most of our food before buying more. Hope all of this helps! Below I’ve linked the containers we use.